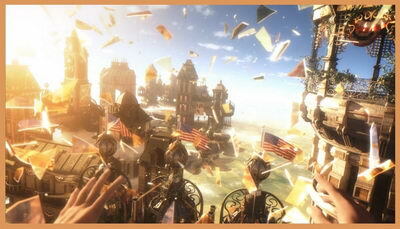 Bioshock Infinite is fantasy type First Person Shooting game and is rated as most beautiful game of year 2013. 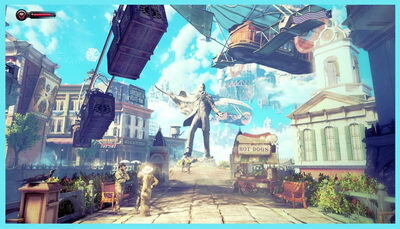 Bioshock Infinite is a fantasy first person shooter game. 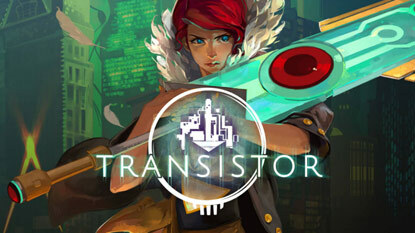 It was released March 26th 2013 and is one of the most famous game of 2013. The game features excellent graphics and great gameplay features with a good storyline. Well, the storyline starts with Booker Dewitt on a contract to rescue a girl and get her to New York. They leave Booker on a small island. Booker investigate that island and find some kind of lift chair. He sits on the chair and the chair gets him to a city of clouds, Colombia. An old man Comstock is Prophet of the city of Colombia. He goes to get the girl from there and goes through a fair. There he gets into some trouble with local police and fights them. Escaping the police he goes to Monument Island statue in which the girl, Elizabeth is kept. He goes there after fighting police and gets Elizabeth. But in meantime the singing bird, a bird who takes care of Elizabeth for Comstock attacks the statue and tries to stop them. But Booker manages to escape and get out of there. They arrive at a beach and Booker promises Elizabeth to get her to Paris. Elizabeth becomes excited and goes with Booker. He goes to the ticket counter but the manager attacks Booker and a fight starts there. After that Booker starts fighting with police and at last finds the airship in which he wants to go to New York. When Booker gives the coordinates of New York, Elizabeth stops him saying that these are not coordinates of Paris. Then Booker tells her that he has to pay a debt and he cannot do this. So he made a deal that he will get her to New York and will get his debt payed. Elizabeth attacks Booker with a wrench and makes Booker faint. Meantime a group of 'Black' Rebels called Vox Populi led by Daisy Fitzroy and attack the airship and take control of it. Elizabeth escapes the ship but Booker is still in ship. Daisy says Booker to bring her weapons from Gunsmith Chen Lin in Finkton Factory. Booker then goes there with Elizabeth and Mrs. Chen tells him that he is in a club nearby. Booker goes there and finds out that Mr. Chen Lin is dead already. There Elizabeth opens a tear into another world when Mr. Chen is alive but as they go there he finds that Mr. Chen has lost his mind because Police took his weapons. But as the Booker finds the weapon he now starts thinking how to move these heavy weapons. There Elizabeth opens another tear in which weapons are not there. They think they will find them in Mr. Chen's house. But as they go there they find that they are killed. In that world Daisy Fitzroy and Vox Populi defeated the Comstock and are fighting for their freedom and Booker is a died Hero. But Fitzroy kills Fink in his factory and Vox Populi starts tearing the factory apart. But there Booker finds that Fitzroy is killing a child so Elizabeth kills her. After that they go to Comstock's house to find more about Elizabeth's tears. There the gate computer thinks that Elizabeth is lady Comstock but her fingerprint doesn't match so they go to her grave to get her hand but there Elizabeth's mothers soul awakes and Booker has to fight with her. After that her soul lead them the way to show the three tears of past to Elizabeth which reveals her reality that she is not the daughter of Comstock and her wife. After that they go to Comstock's house but there the songbird attacks them and Booker falls down but Elizabeth says songbird to leave Booker and take her with him. So songbird takes her but Booker chases him and goes into Comstock's house to find Elizabeth. There Booker finds an old ELizabeth which tells her something and he goes for Elizabeth again. There Comstock and his Doctor are torturing Elizabeth, doing some kind of experiment on her. 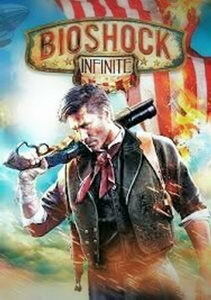 Booker saves Elizabeth from there and Comstock and Doctor escape. Elizabeth tells him to go to Comstock and get revenge. Booker tries to stop her but Elizabeth doesn't listen to him. They then go to Comstock. When they meet Comstock he asks Booker to tell ELizabeth the truth but Booker gets angry and kills Comstock. After that they go to get Comstock's ship and there Vox Populi attacks them. Booker defeats them and then Elizabeth and Booker destroy the Siphon statue on Monument Island with the help of songbird and Elizabeth regains her full power. Then she opens a tear which leads to a world full of light towers. She tells them that these are different worlds all different yet the same. Booker reviews his past there and Elizabeth tells him that she knows everything that she is Booker's daughter and Booker gave her to Letuce twins for Comstock and Comstock paid his debt. But Booker again got into another tear where Comstock and Letuce Twins were taking her daughter Anna (Elizabeth) he tries to stop them but they get away. Booker then decides to kill Comstock before he was even born but when he goes into the door he sees the same place where he accepted Baptism and lost all his memories, lost all his sins and there he sees many different Elizabeths. They tell him that when he accepted Baptism he forgot everything actually he is the Comstock and he is also Booker. They all then put him again into the river and a view from the sky comes where all the Elizabeths are disappearing. Well, this is the sad ending of the game. Well, the gameplay is very interesting and good. Story at first is very confusing and you will not understand anything but when the game ends the player understands everything. The game gives different moral lessons and shows different forms cruelty done by the humans. Like Racism, Greed, Unjustice, & Cruelity etc. The story is very interesting and left me crying :'( (Well not really crying but my heart cries for Booker) and this story makes man learn many moral lessons like we should think about our disicions and always do justice and never go with small prejudices. Now after storyline let's get to the gameplay. Gameplay was good. The Vigours were more interesting than weapons. Playing on hard took a long time to complete the game but it really is awesome to experience this type of fantasy shooting game. The graphics were also very good. The environmental features were very good and graphics were best for a fantasy game. Awesome Review but old ! muneeb salman 19999 thanks . fc3 is awsome but never played this. every game has its own features. If u looking for fantasy then it's good but for adventure fc3 is good.